THURSDAY, Sept. 1, 2016 (HealthDay News) -- The number of Americans hospitalized with heart infections caused by use of injected opioid drugs is on the rise, a new study indicates. Researchers from Tufts University School of Medicine in Boston said the finding is a disturbing outgrowth of a rising tide of opioid addiction in the United States. For the study, the researchers reviewed U.S. hospital admissions for infective endocarditis, a sometimes deadly infection of the heart valves. Although people born with abnormal valves and older adults with valve problems are at added risk for the condition, it can also result from injecting drugs. 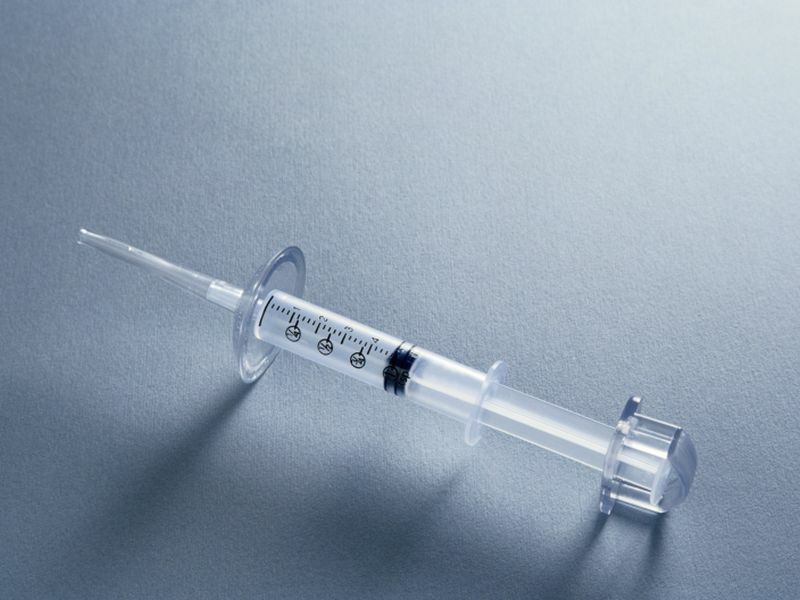 Injections can introduce bacteria into the bloodstream, the researchers said. In 2013, 12 percent of hospitalizations for infective endocarditis were related to injection drug use, compared to 7 percent in 2000, the study team found. The actual number of cases rose to 8,530 from 3,578. "As clinicians, we have observed a major increase in young people with opioid addiction cycling in and out of the health care system, and many end up with devastating complications of injection drug use like infective endocarditis," study first author Dr. Alysse Wurcel said in a university news release. "Our study confirms that this trend is increasing across the U.S. and represents yet another indicator of the challenges we face with the national opioid epidemic," she added. Wurcel is an assistant professor at the medical school and an infectious diseases specialist at Tufts Medical Center. The increase was especially high among young, white and female patients, according to the study. From 2000 to 2013, hospitalizations for injection drug use-related infective endocarditis (IDU-IE) rose from 28 percent to 42 percent among 15- to 34-year-old patients. Among white patients, IDU-IE hospitalizations rose from 40 percent to 69 percent; and among white young adults, from 57 percent to 80 percent, the study found. Females accounted for 41 percent of IDU-IE hospitalizations in 2013, and 53 percent of young adult hospitalizations. Study senior author Thomas Stopka said the shift toward the young, whites and women is likely to continue. "It's likely that we'll continue to see even higher increases. It's a much more suburban problem than most people realize," he said in the news release. Stopka is an assistant professor of public health and community medicine at Tufts. "We need to identify these different subgroups and better understand how they are affected by the opioid epidemic and associated complications, so that we can try to design a more comprehensive approach to prevention, intervention and care," he said. The study was published Sept. 1 in the journal Open Forum Infectious Diseases.